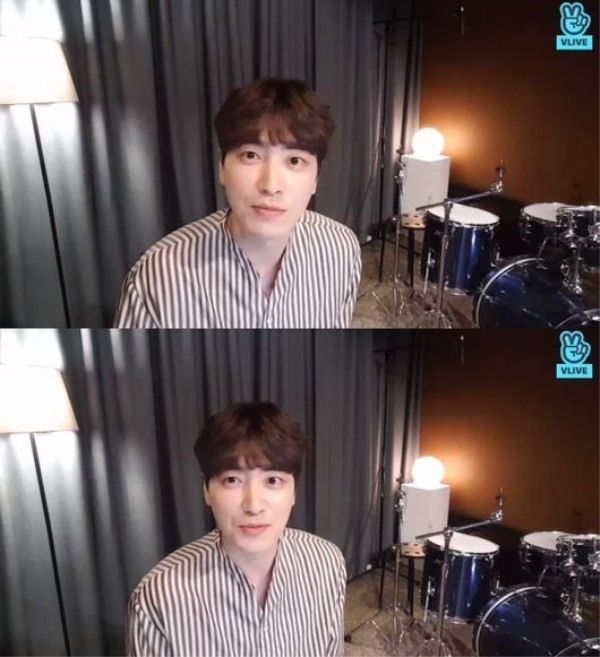 Actor Lee Joon-hyuk communicated with his fans in a live broadcast held via Naver’s V app Tuesday. In the broadcast, the actor shared his thoughts on his tvN drama “A Poem a Day” which finished its 15-episode run on the day. “I started the drama because I wanted to do healing. As the people I worked with were really nice, I could film the drama in a good atmosphere,” he said. “Whenever I play characters in dramas, I feel like meeting friends. As the role I played (in ‘A Poem a Day’) is a warm-hearted person, I thought I have a lot to learn from the character,” he said. “While playing Je-wook (his role in the drama), I wanted to offer warm words to people while sympathizing with them. I think I could express that well through the work and I’m glad you could sympathize with that,” he said.